I mentioned in the last post that one of my co-workers at Darling died in early December. Tad was young (in his 40s) and appeared to be in great health, so his quiet passing in his sleep was a great shock to everyone who worked with him. Tad was the head baker at Darling and, for whatever reason, he preferred working in the back kitchen, just feet from where I washed the dishes. So we daily had conversations about anything and everything - including the hottest-button issues in the US today (one of our last discussions was about abortion, birth control, and reproductive rights!) The traits that I found most remarkable were his empathy with oppressed people and his unflinching optimism, even in the face of great adversity. These traits were instructive. anarchy: a theory that regards the absence of all direct or coercive government as a political ideal and that proposes the cooperative and voluntary association of individuals and groups as the principal mode of organized society. "Today I learned that I'm an anarchist!" I don't know if he admitted it to anyone else, so who knows... maybe he was placating, haha. A few days later, Tad was telling me about the high school that he had attended - that such notable people as Tony Bennet, Calvin Klein, and [a third equally famous person who I can't remember] had graduated from his high school. He then paused, considering his own life and achievements. "And me... I'm a baker," he said sullenly. Disappointed. I did not respond - a fact that I may always regret. Because the very next day, Tad passed away. I would not have the chance, then, to remind him that he was not just a baker - he was the baker. That in many ways, he carried our humble bakery on his own competent shoulders. I could not then gesture toward the kitchen sink - my daily office - with beaming smile and arms spread wide in existential embrace, to say "And me... I'm a dishwasher." I believe with great conviction that my work is important, that it makes a difference for my co-workers and our customers, my neighbors. Thus I do it with pride and joy. I wonder if Tad realized how important his work, his heart, and his mind were to us, his co-workers, and to our community. Indeed, I wonder how many people realize these things about themselves, about all that they have to offer the world. Not just through their jobs/work (which may or may not be the jobs/work that they really ought to be doing), but also through their gifts, talents, and passions. I have a strong feeling that once we realize this about ourselves and each other, we can begin to free ourselves, our imaginations, our energies - we can begin to create the world(s) we've only dreamt of. On December 7, with the news of Tad's death still fresh in our minds and hearts, we at Darling went through with a fund-raising event for Word Up Books, our community book store. Several musicians and poets, all Darling employees, presented their original works. There was great food, friends, and wine. Word Up was racking in plenty of dough (pardon the bakery pun!) to add to the indiegogo campaign. And all were having a great time. I was the last performer to take the stage. At the end of my set we had a moment of silence for Tad and I proceeded to introduce my closing song. I told the audience of that last conversation I'd had with him about his fellow high school alums; I told them of the self-disappointment I detected in his voice that morning; I explained that his work was indispensable to our establishment; and I described the joy that I find in washing the dishes at Darling. Then I performed Sing At The Top Of Your Lungs, a song about creating the world(s) we dream of whenever we "go out there and sing, dance, paint, write, smile, and create." I dedicated the song to Tad's memory because he created cakes, scones, and quiche (among many other delicious treats! ); and all the while, he demonstrated empathy, love, compassion, solidarity - indeed, he lived out a form of anarchism without needing a word or label for it. In fact, I'm confident that Tad would have agreed fully with the aphoristic exhortation, popular in anarchist circles, that everyone wants a revolution but nobody wants to do the dishes. 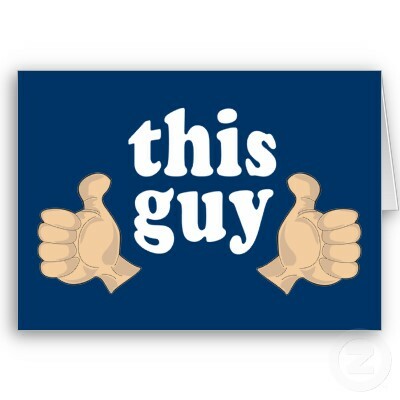 Guess what has two thumbs and washes the dishes? You can read part one, On Keeping The Feast, at this link. It's a review on a book by the same title, about food and the community that is formed around it.